Unless otherwise stated, all content and images presented here were created by, and are copyrighted by, John R. Thurston. You may view them, print them, tell people about them, and comment on them. You may not copy them, edit them, or use them for financial gain without permission. This company is exhibiting two pre-production models of Holga Medium Format Stereo Cameras. The second model, the Holga 120 PC-3D is a pinhole camera, with a pinhole of 0.3 mm and f 135. Prices and availability are not known yet. Anyone who expects these to have sharp lenses or light-tight bodies is probably going to disappointed, but they could still be fun to play with. Since Holgas sell for $20, maybe these will go for less than $50. Behind every good viewer is a good light source. 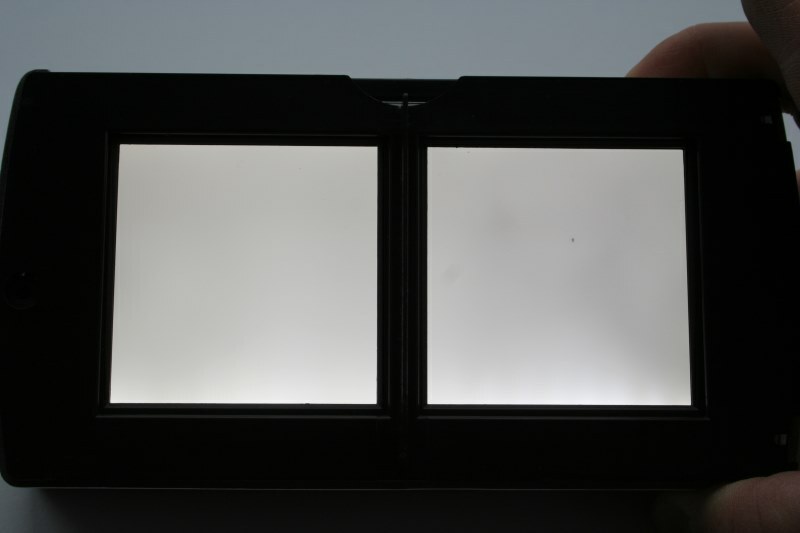 3D World has built an LED powered edge-lit panel for use in their new focusing viewer. 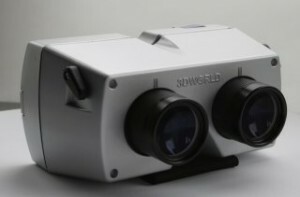 While I think I can build a good illuminator, I know I wouldn’t be able to build anything this good at the price 3D World is offering their viewer. Because it’s so neat to see someone else’s work in an area I’ve long pursued, I have an entire page devoted to the 3D World Illuminator. Alan Lewis has created such wonderful items as the Saturn Viewer for medium format slides. He has published photographs of how he modified his viewer to increase the interocular spacing to 70mm. I costs and weighs a bit more than their steal-the-light (STL) viewer, but it is otherwise superior in all areas. If you shoot medium format stereo images, and you don’t already have an illuminated viewer, you really need one of these. I actually have a whole set of pages devoted to this viewer which cover its strengths, weaknesses and potential improvements. © 2019 - In Depth is powered by WordPress.